Holmesglen Private Hospital is Australia's first TAFE-based hospital. Residents in Melbourne’s southern and bayside suburbs will soon have access to more comprehensive healthcare services under a ground-breaking partnership between Healthscope and Holmesglen Institute. Hospital operator Healthscope and higher education provider Holmesglen have teamed up to build Australia’s first TAFE-based hospital. The $120 million project received council approval last year, with construction beginning at Holmesglen’s Moorabbin campus in June. 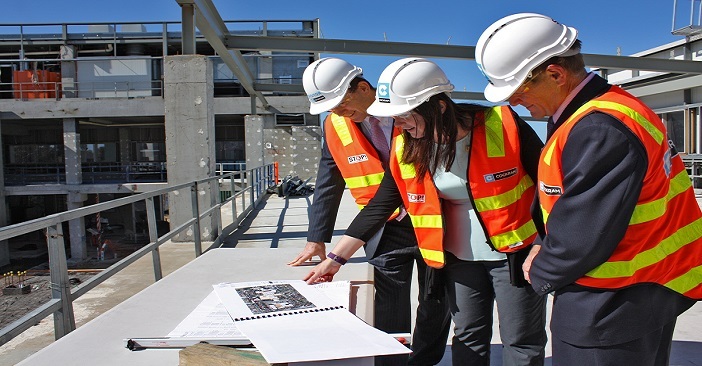 The 147-bed Holmesglen Private Hospital, scheduled to open early next year, will include a comprehensive radiology department, pathology services, a pharmacy and a café. “Holmesglen Private Hospital will comprise…state of the art intensive care and coronary care units, as well as seven integrated operating suites, cardiac catheter laboratory, a day oncology and [most]significantly, an emergency department,” Healthscope managing director Robert Cooke said. Also announced under the plans is a redevelopment and upgrade of student facilities at Holmesglen Institute. A run down area on campus will be refurbished and used to replace the two existing buildings which the hospital will occupy. The multi-million dollar project has opened up hundreds of temporary construction jobs. In addition, it is expected to create 750 ongoing health positions. The medical and surgical services at the nearby Como Private Hospital, which is owned and operated by Healthscope, will be transferred to Holmesglen Private Hospital. Como Private Hospital will expand its rehabilitation facilities following the transfer. Mr Cooke said the reaction to the development has been positive. “There has been a great deal of interest from our current doctors at Como Private Hospital, as well as new doctors that are keen to consult and perform surgery close to where their patients live,” he said. Healthscope is Australia’s second-biggest private hospital operator, with 46 facilities in its portfolio.